Lumbar lordosis describes the degree of front-to-back spinal curvature in the lower back. Too much or too little lordosis can cause lumbar pain issues, but exaggerated or deficient curvatures are not inherently painful by any means. Lordosis is a major problem within the lower back pain treatment industry, since it is often in flux due to various factors and is often confused as being a cause of pain, rather than an effect. This confusion is understandable, since structural forms of lordotic change can be the reason why lower back pain exists, but functional, soft tissue-enacted lordosis changes are usually the direct result of other painful problems. If you have been diagnosed with hyperlordosis or hypolordosis of the lumbar spinal region, this essay is a must read. We will discuss the various innocent and pathological alterations that occur to the lordotic curvature and how these changes might be related to the expression of lumbar dorsalgia. The lumbar spine is curved in a lordotic manner, meaning that the curvature opens to the dorsal side of the anatomy. 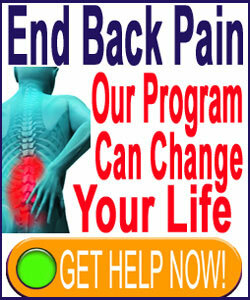 The lumbar curvature is rather pronounced, since it occurs over only 5 vertebral bones. This curvature is crucial in distributing shock over the lower spine, as well as helping the spine to reduce the risk of injury from various stresses. 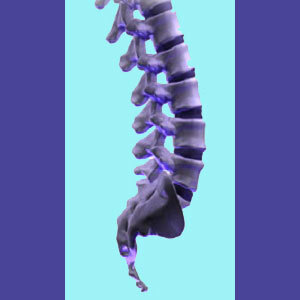 A healthy spine will demonstrate a normal lordotic curvature in the lumbar region. However, the degree of curvature is often in flux throughout life and can change in response to many different contributing factors. Injury, spinal aging, muscular triggers and other causes can all create alterations in the degree of lumbar lordosis expressed in the lower back. Some changes will increase the degree of lumbar lordotic curvature, while other changes will reduce the degree of lumbar front-to-back spinal curvature. Changes to the lumbar lordosis of the lower back are not inherently painful or problematic, but can become so given particular circumstances. It should be noted that many changes to the lumbar lordotic curvature are not the underlying cause of symptoms, but instead are a result of a painful process. This confusion between cause and effect is a major hurdle for many diagnosticians when treating pain that is experienced in conjunction with lordotic changes. Hypolordosis describes a decrease in the usual curvature of the lumbar region. The condition might be diagnosed as spinal straightening, loss of lordosis or even reversal of lordosis in extreme examples. Hypolordosis in the lumbar region is an extremely common phenomenon and is usually transient, although permanent versions can and do occur. Structurally-motivated loss of lordosis can be created by other changes in spinal curvature, such as scoliosis, as well as alterations to the structures of the lumbar spine itself, such as disc desiccation. However, most hypolordosis is the result of temporary muscular causation, wherein the lumbar paraspinal muscles contract and pull the lordosis straighter than it would normally be. While this muscular-induced state is called temporary or transient, it may actually endure for a very long time, despite having no structural basis in most patients. Regional ischemia is a very common causation of muscular-enacted hypolordosis. Extreme hypolordosis, especially of a structurally-motivated variety, can dispose the spine towards escalated trauma and shock. This is because the protective curvatures of the lumbar vertebral column are decreased or eliminated, increasing the force experienced over each vertebral and intervertebral level. It should be made clear that the vast majority of patients who demonstrate decreased lumbar lordosis do so as an effect of some other process. Most hypolordosis is the consequence of a source process, rather than the origin of lower back pain itself. When these patients seek treatment for the lordosis change, results are generally very poor, since they are treating a symptom, rather than the underlying cause. Hyperlordosis describes an excessive degree of curvature in the lower back region. The condition is usually structurally-motivated due to injury or degenerative changes to the spine, with contributing factors including spondylolisthesis, lumbar scoliosis, severe intervertebral herniations and changes to the ligaments of the vertebral column. Some cases of hyperlordosis are muscularly-induced in much the same manner as hypolordosis detailed above. Hyperlordosis in the lower back can be called by colloquial names, such as sway back or saddle back. These are derogatory terms and should not be used or propagated by medical professionals. Some cultures prize hyperlordosis and consider it a sign of great beauty. Hyperlordosis in very severe degrees can contribute to a reduction in patency of the central vertebral canal, inciting lumbar spinal stenosis, or a reduction in the effective size of the foramina, inciting foraminal stenosis and possibly, a pinched nerve root. Hyperlordosis can also cause pain through muscular triggers, particularly when certain muscular tissues must work much harder to maintain a normal posture when the curvature of the spine is pulling strongly against this effort.